Move over optogenetics, there’s a new cool mind-bending tool in town. 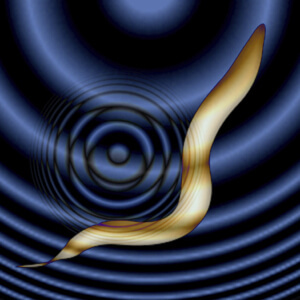 A group of scientists, led by Dr. Sreekanth Chalasani at the Salk Institute in La Jolla, California, discovered a new way to control neurons using bursts of high-pitched sound pulses in worms. Dubbed “sonogenetics,” scientists say the new method can control brain, heart and muscle cells directly from outside the body, circumventing the need for invasive brain implants such as the microfibers used in optogenetics. Almost exactly a decade ago, optogenetics changed the face of neuroscience by giving scientists a powerful way to manipulate neuronal activity using light beams. The concept is deceptively simple: using genetic engineering, scientists introduced light-sensitive protein channels into certain populations of neurons in mice that were previously impervious to light. 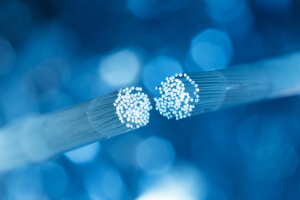 Then, by shining light through microfiber cables implanted in the brain, the scientists can artificially activate specific neural networks, which in turn changes the behavior of the mouse. Since then, the crazy tool technique has clocked an impressive list of achievements, including making docile mice aggressive, giving them on-demand boners and even implanting fake scary memories. Last month, a group of neurologists from San Diego got FDA-approval to begin the very first clinical trial that aims to use optogenetics in humans to treat degenerative blindness. Yet optogenetics is not without faults. For one, the hardware that delivers light has to be threaded into the brain, which — unfortunately but unavoidably — physically traumatizes the brain. This makes its transition for human use difficult, particularly for stimulating deeper brain regions. It’s not just an academic problem. Some incurable brain disorders, such as Parkinson’s disease, benefit from focused brain stimulation. Many scientists have predicted that optogenetics could be used for such disorders, but since the target brain area is deeply buried in the brain, clinicians have backed off from trying it in humans (so far). What’s more, the stimulation isn’t as precise as scientists want. Just like particles in the atmosphere that scatter fading sunlight every evening, the physical components of the brain also scatter light. The result is that neuronal activation isn’t exactly targeted — in other words, scientists may be inadvertently activating neurons that they’d rather stay silent. Chalasani and his colleagues believe that they have circumvented both issues by swapping light with sound. The team was obviously deeply inspired by optogenetics. Instead of using the light-sensitive protein channelrhodopsin-2, the team hunted down a protein called TRP-4 that responds to mechanical stimulation such as vibrations. When blasted with ultrasound, TRP-4 opens a pore in the neuronal membrane, which allows ions to rush in — this biophysical response activates (or “fires”) a neuron. Sophisticated genetic tools restrict TRP-4 to only certain types of neurons — for example, those that control movement, sensation or higher brain functions such as motivation. By activating these neurons and watching the resulting behavior, scientists can then tease out which set of neurons are responsible for what behavior. In one experiment, the team targeted motor neurons in the primitive worm. Realizing that plain old ultrasound wasn’t strong enough to activate the TRP-4-expressing neurons, the researchers embedded the worms in microbubbles to amplify the sound waves. When transmitted into the worms through their opaque skin, the sound waves reliably activated motor neurons that were peppered with TRP-4. As a result, scientists could move the worms to preset goal destinations, as if controlling the worms with a joystick. “In contrast to light, low-frequency ultrasound can travel through the body without any scattering,” said Chalasani in a press release. Unlike light, the sound pulses — too high-pitched for humans to hear — can be delivered to target neurons from the top of the skull, without the need for brain implants. You can imagine putting an ultrasound cap on a person’s head and using that the switch neurons on and off in a person, Chalasani speculates. Dr. Stuart Ibsen, the lead author of the paper, agrees. “This could be a big advantage when you want to stimulate a region deep in the brain without affecting other regions,” he said. 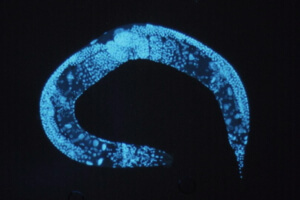 So far, the technique has only been tested in the nematode worm, but Chalasani says that the team is hard at work transforming it for use in mammals such as mice. Like optogenetics, scientists could insert TRP-4 into certain populations of neurons with genetic engineering. They could then directly inject microbubbles into the bloodstream of mice to amplify the ultrasonic waves inside the body, and activate targeted neurons with a cap that generates the sound waves. Unlike optogenetics, however, sonogenetics has a bit of a time lag. It’s basic physics: sound travels slower than light, which means there will be a larger delay between when scientists give the “go” signal versus when neurons actually activate. With optogenetics dominating the mind-control game, it’s hard to say if sonogenetics will take off. But Chalasani is optimistic. “When we make the leap into therapies for humans, I think we have a better shot with noninvasive sonogenetics approaches than with optogenetics,” he said. Image Credit: Shutterstock.com; Wikimedia Commons; video and final image courtesy of the Salk Institute.